Today’s job of the day comes from Ergon Trucking Inc. Ergon is a world class, family owned liquid tank carrier. 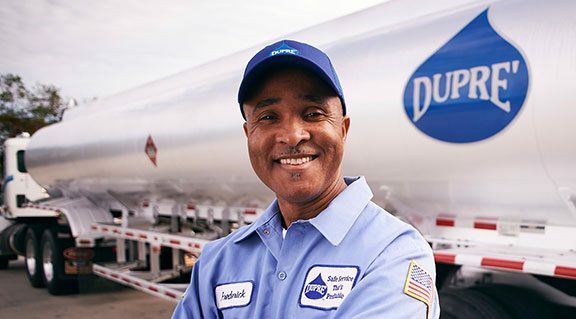 A fleet of 156 trucks, 421 tanks and 161 owner/operators logs more than 25,000,000 miles each year in service to more than 200 satisfied customers nationwide. Currently, Ergon Trucking seeks CDL A Local Crude Drivers in Magnolia, OH. Drivers haul crude oil from field locations in eastern OH. Also, drivers return home daily since the position is local. In addition, this position requires Hazmat and Tanker endorsements. The job offers up to $90,000 per year, a great benefits package, and late model Peterbilts and Kenworths with manual transmissions. Learn more about the job requirements, benefits, pay and more. JM Bozeman is a trailblazer in driver satisfaction. They have an exceptional fleet of drivers who are the mainstay of their company. In addition, they continually strive to support and recognize our drivers. They are a family place and that’s not just a catch phrase. Overall, they offer competitive pay and many rewarding benefits for you and your family. In addition, their drivers ride with pride in outstanding equipment. Also, they are small enough to know you but large enough to load you right. JM offers exceptional equipment, weekly pay with direct deposit, no touch freight, and full benefits. In addition, they ask candidates are 24 years old, hold their CDL A license, and have 2 years of OTR experience. One World Logistics of America provides customers with comprehensive transportation and logistics services throughout the United States. Overall, these include long- and short-haul trucking, air, rail and ocean cargo support, and LLP services. Also, their experienced drivers, proven technology and industry experience ensure that customers receive great service. One World Logistics of America, Inc. (OWL) established in April of 1999. However, in 2014, OWL consolidated operations with Clark Trucking, an Ohio-based carrier. Currently, One World Logistics is hiring Local 2nd Shift CDL A Dry Van Drivers in Marysville OH. Overall, One World Logistics asks that candidates are at least 21 years old and hold their CDL A license. For Christians, Easter is a time of reflection, gratitude and deep faith that goes to the very heart of Christianity. For truck drivers who celebrate Easter on the road, it’s also time for feasting! ﻿ We asked our truck driver community on Facebook whether they are celebrating Easter on the road or at home this year, and the poll results so far are included on the left. 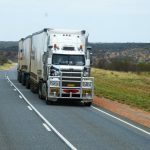 For the truck drivers who are celebrating Easter over the road, here is a story of a truck driver couple who are making the most out of the holiday on the road this year—even planning to maintain their same family traditions in their truck. Mike Wolford and Emily Allen are among the truck drivers preparing an Easter meal in the truck this year. The couple is looking forward to commemorating the day. This year, Allen will make a meal that reminds her of her upbringing: pineapple-glazed ham. “I’m going to bake a ham with brown sugar and pineapple, just like Momma used to do,” she says. Allen laughs at the thought. “It’ll be a whole lot smaller than Momma used to do, though.” She’ll cook it in one of her kitchen standbys, her Lunchbox oven. She’ll accompany it with mashed potatoes, corn, beets, and biscuits with melted butter. For Wolford, an avid griller, Easter is about celebrating Jesus. But it took a woman’s touch to inspire him to celebrate Easter on the road with a special roadside meal. Allen is a great cook, preparing dinner in the truck at least six days a week. A typical meal Emily Allen and Mike Wolford make together on their truck. In her kitchen lineup is everything from an Aroma cooker to an electric skillet. “Somewhere along the line, I developed a passion for cooking,” says Allen, who learned mostly from her mom. She sharpened her culinary skills further while working at a Michigan restaurant in her teens. We’re always interested to hear how truckers celebrate Easter from the road. Join our community here to share your story! Not every type of CDL trucking job offers the same or pays the same. Depending on the type of haul you take and the experience you have with different loads, you may earn a much different salary. 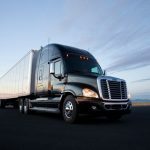 Gain experience in one of these lucrative types of trucking jobs, and you’ll see the zeros in your paycheck increase. Here are the 10 highest paying driving jobs in the industry. Since this is the most dangerous and risky of the driving jobs in the industry, it is also one of the most well payed. Be warned- ice road trucking isn’t for the faint of heart. There’s a reason why the show “Ice Road Truckers” on the History Channel has been very popular. People are fascinated with the courage and skill it takes to be an ice road trucker. These drivers work only a few months of the year but can make a full year’s salary in that short time. They need to be very skilled drivers and fix their trucks in cases of breakdown. Driving oversized loads could simply mean that the load is an inch over-width or could mean you’re driving double wide trucks. Since the driving is a bit trickier, these jobs will automatically pay more. You’ll likely need special permits from transportation departments for oversized truck loads. If you don’t like night driving, this job might be for you since you won’t be allowed to drive when it’s dark. It does mean you’ll spend more days on each job, but the pay raise may be worth it. You can’t miss these behemoths on the road because they look so intimidating. One truck hauls a dozen or more cars which are likely brand new. These jobs pay extremely well because of the value of the freight and because they require very skilled driving. If you’re transporting luxury cars, you’ll be payed even higher. Added training may be needed on-the-job since you won’t get exposure to this in truck driving school. Being an owner-operator comes with a mountain of responsibility. You’ll have to deal with operational expenses, maintenance, and finding contracts with different companies. Being your own boss can also be potentially rewarding. Since you won’t have to deal with company management, you can see more of your bottom line in your own paycheck. 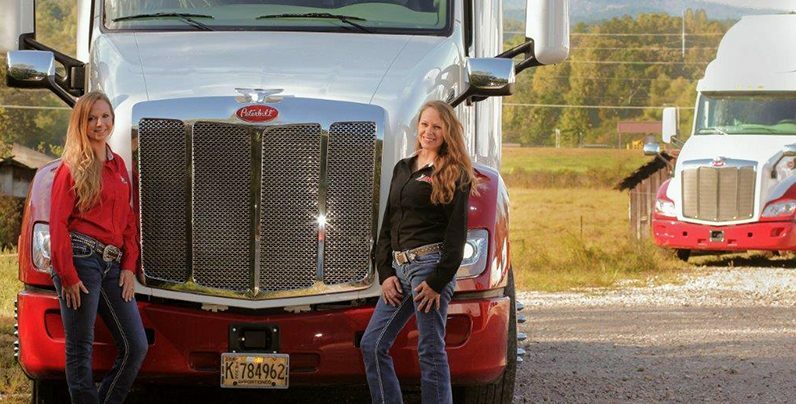 Becoming an owner-operator is a really big decision which most drivers aren’t ready for until they’ve had years of experience under their belt. In general, over the road (OTR) jobs are going to pay more since they involve long hauls. You’ll be traveling across the country, maybe even coast-to-coast, and will be on the road for long stretches of time. This means it may be weeks till the next time you see your family. The idea is that you’re getting a bigger paycheck for sacrificing the home time. Be careful though and verify the compensation package with your recruiters before signing on for OTR jobs. 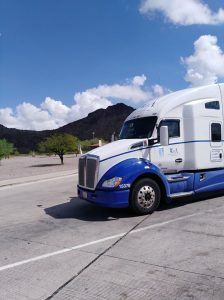 Many drivers actually enjoy OTR driving since they get to explore the country and visit many incredible places. These jobs pay more than flatbed loads or dry van hauls. They are also considered more dangerous since they involve liquids which often move around uncontrollably. Your CDL needs to be endorsed to be a tanker haul driver. This will allow you to gain experience with liquid hauling. Team drivers handle one run together so that it can be completed quicker. Companies often use teams when a load needs to reach a destination as soon as possible. A pair of team drivers can cover 2,000 miles in one day while it would have taken twice or three times as long for a solo driver. The two drivers take turns resting so that the truck is still moving even though one of them is sleeping. This is a popular approach for truck driver couples who like spending the time together on the road. Team driving isn’t for everyone though because you’ll be spending a lot of time with the other driver, regardless of whether or not it’s your spouse. It’s a dirty job, but someone has to do it. These are non-glamorous driving jobs since the freight is literally garbage or coal. 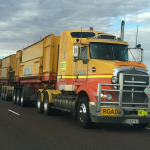 Mining truckers haul coal, rock and oil. 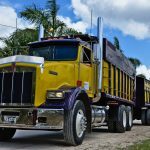 Dump trucks carry sand, gravel, or demolition waste. The trucks themselves are unique since they’re specifically designed for this type of job. If you’re working in or around mines, you have to take special care to make sure the mine itself is not disturbed. These jobs can pay well, but make sure you interested and don’t mind getting dirty. The trucking industry has dozens of types of jobs that are very different in terms of schedule, haul, type of run, and risk involved. It makes sense that not all are going to pay equally well. We’ve identified ten highest paying driving jobs in the industry to help you decide what type to look for. Although you may not always be able to control what types of runs you get assigned to, you can start building experience different jobs and find the ones that best suit you. Today’s Job of the Day comes to us from Dupré Logistics, LLC. Dupré Logistics commits to their team members, their customers, and their community. Dupré strives to be “the ideal place to work”, and are always seeking exceptional talent to join their team of professional drivers. They invest in and reward loyalty, knowledge, performance, and a desire for growth. Drivers earn excellent money, receive pay weekly, and receive health benefits immediately upon hire. In addition, Dupré offers a great benefits package which includes medical, dental, vision and prescription drug coverage, 401(k), profit sharing, short and long-term disability, company paid life insurance and much more. Also, Dupré provides well-maintained, dedicated equipment, out and back freight, and drivers’ benefits start on day one. 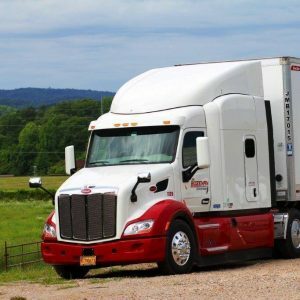 Dupré Logistics asks that applicants be at least 23 years old, already have their CDL A license, and have at least two years of two years recent T/T driving experience. Positions typically require Hazmat, Tanker, or TWIC endorsements. Family owned and operated since 1990, W&A Distribution built a reputation for safety and prioritizing the satisfaction of employees and customers alike. Their communicative and honest approach ensures positive, lasting relationships along with dedication to quality service. Also, W&A’s team of over 100 professionals helps meet customer needs in 48 states, across diverse industries. 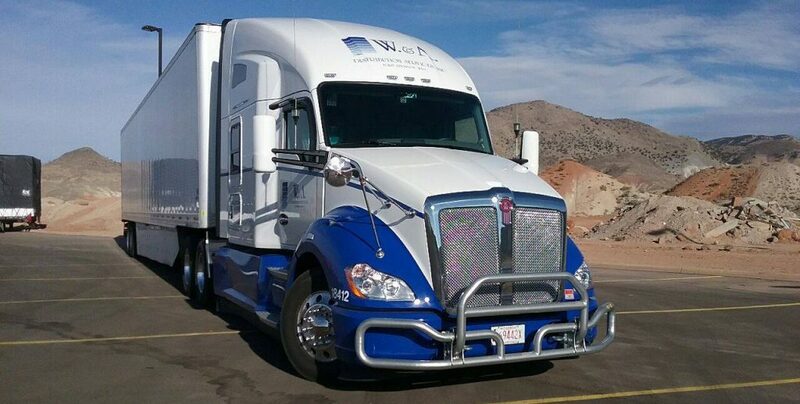 Overall, W&A Distribution offers driver opportunities to have the career they deserve. With competitive pay, comprehensive benefits, and quality home time, W&A makes truck drivers a priority. Join a company driven by integrity and shared success. Drivers are home weekly, average $65,000-$75,000 per year, and access great benefits. Also, additional details about the positions are below. Overall, the driver duties include safely operating a commercial vehicle as well as pre- and post-trip inspections and reporting. In addition, drivers deliver product or material to destination; assists with unloading as needed. Also, W&A Distribution asks that applicants hold a CDL A license with 1 year verifiable OTR experience. 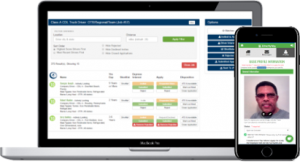 In addition, they ask drivers have no serious moving violations in the past 2 years and working knowledge of city and state locations throughout the U.S.
Foodliner, Inc. is one of the largest bulk food carriers in the country and a Transport Topic Top 100 carrier. They are hiring professional CDL A Midwest Regional Liquid Bulk Drivers to join their team in addition to CDL A Midwest Regional Liquid Bulk Owner Operators. 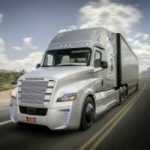 Currently, their company drivers average $75,000/year with the potential to make $85,000/year or more! $3,000 Sign-on Bonus, $5,000 if you have bulk (Liquid or Dry) experience! KODAC All American Logistics (authorized agency of Meadow Lark) is hiring Class A CDL Owner Operators in Dallas, TX. They hire OTR Owner Operators for OTR & Regional work, with the ability to run 3-4 loads in a 7-8 day window. MUST have a clean driving record/criminal record and at least 2 years (in the last 3) driving experience. Health insurance available through Meadow Lark. Driver Referral Program.. Every driver that comes on receives business cards with their name to pass out to potential drivers. $100 paid upon 1st Dispatch, $200 paid once driver been signed on for 30 days. $200 after 60 days, $1000 paid once driver has been signed on for 1 year. $1000 after 2 years. As a driver, your primary contact with your company and your daily workload is with your truck driver dispatcher. You need them to set your schedule, find the best routes and keep you moving down the road. They need you to meet deadlines, work well with customers, and most importantly be safe, efficient and prepared for navigating the roads. So we were wondering: How is your relationship with your truck driver dispatcher? In a recent Facebook poll we found that 75% of you said you DO have a good relationship with your dispatcher. That’s great news! In the past, we’ve had drivers mention specifically that their favorite part about their job was the relationship with their dispatcher. But what about the 25% of truck drivers that are struggling? What can help improve your relationship with your dispatcher? In life, any relationship worth having, takes effort to grow and prosper. That’s true in both personal and professional relationships. To help your working relationship thrive, here are 3 things to keep in mind when working to improve your relationship with your dispatcher. Every relationship deserves mutual respect. In a business relationship, respect is a must. Ensure each conversation is suitable for a business relationship. Always use appropriate language with any co-worker, even when there’s a heated issue. You and your dispatcher are a team, and you both want to be successful. When communicating with your dispatcher, be clear, honest and to the point. Respect their time and respond to messages and calls promptly. As soon as there’s an issue or a potential problem, let them know. They are working to get you the best information they can in a timely fashion. Be sure to do your part as well. You certainly have tough job. Navigating every kind of traffic and weather conditions for long hours each day is stressful. But what about your dispatcher? Though they’re not in the cab with you, they are dealing with a lot back at the office. Dispatchers have to manage every driver’s current situations. Add to that: conflicting timelines, ever-changing logistics, multiple customer expectations, management’s expectations, as well as what’s going on in their own life, and they just might be willing to trade for your road closures or horrific traffic jams. When you’re having a bad day, remember that they might be as well. In any relationship, a little bit of empathy can go a long way. Even for those truck drivers that enjoy a great working relationship with their dispatcher, it’s worth the extra effort to keep that relationship solid. Keeping your conversations professional, ensuring there’s good lines of communications in place, and having a good understanding of each other’s perspective are crucial for your team’s success.